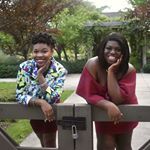 We are, Teaira and Dumebi, global spiritual nomads who enjoy spreading our signature brand of joy and light across the world, and leaving a wake of shimmer in our path. Together we offer a holistic approach to mind, body and soul connection through a range of in-person and online classes, workshops and world wide retreats. The focus of our work is deepening spirituality and bringing healing, by using a variety of tools such as energy work, dream interpretation, and numerology. At the core of our work is ancestral healing, specifically from African descent, to help kings and queens access their truth, understand their ancestral roots, activate self-healing and discover their spiritual purpose. We are often found wandering the globe sharing our message of blessings and light. Demographic data for @lightsisterz's audience is available for free to influence.co users.